Give your teacher a special gift to show how much you appreciate them by getting them a custom mug! 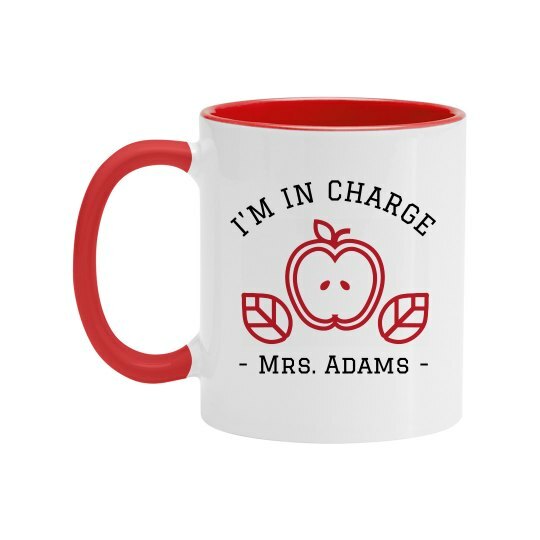 They will be sure to love the "I'm In Charge" text, and the apple design makes it appropriate for any educator. Add their name at the bottom to give it a finished touch.